After the season 2 finale of Gotham, it was pretty obvious that season 3 was going to be big. Rumors suggesting that certain characters were coming to the show have been proven true, with the Mad Hatter and Vicki Vale both slated to appear in the new season. Now, it seems that another rumor about the upcoming season is coming true, though it will require a behind-the-scenes shakeup. Recurring character Ivy Pepper, played thus far by Clare Foley, will apparently become Poison Ivy in the third season. Foley won't return for the role, however, so casting is underway for a suitable replacement for the young actor, who can carry on with the role as the character continues her progression within the series. The news comes via TVLine, which reports that Ivy will make the transition to Poison Ivy in the new season when Gotham returns in the fall. It's suggested that the change in the character is the reason for Foley's departure, though it's unclear whether that's because Poison Ivy will become a series regular or if it's due to a change in the character's appearance. Auditions are underway, seeking an actress in her late teens to take over the role for Foley. With a change in actress and the character's history in the comics, it's also possible that Poison Ivy could be the "young villainess who uses her sexuality to entrap men" that the site reported on back in May. While in the comics this was accomplished through the use of pheromones, there's no word on whether that tactic will also be used in Gotham. Even if Poison Ivy doesn't have her powers in the show, it's entirely possible that a revamped (and vamped up) version of the character would be able to manipulate men and get them to do her bidding (and possibly blackmail them if they refuse). Given that season 2 ended with Hugo Strange's creations being released in Gotham City, season 3 is sure to be filled with more of the strangeness that accompanied some of Batman's major villains emerging on the show. 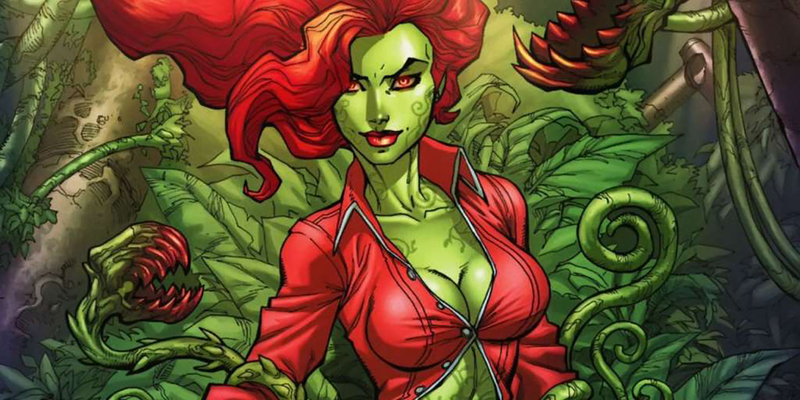 Executive producer John Stephens commented that with the release of Strange's monsters, "the nature of the city of Gotham will change," and the addition of Poison Ivy to the season will likely only speed up this change. Toss in the Mad Hatter and things may get downright weird as Bruce Wayne steps closer to his destiny, while James Gordon tries to hold Gotham together. For those who aren't fans of the show, the recasting of Foley and the transition of Ivy Pepper to Poison Ivy isn't likely to change their opinion. Gotham's fans will probably like it, however, since it adds more of the comics' flavor to the world of the series. Time will tell whether Poison Ivy fits in with the other villains or if the change in actresses sticks out like a green thumb. Gotham returns to FOX for season 3 in the fall.